Coco Junction seeks to inspire people across the globe to discover the many ways coconut can enrich your day to day life – from improving your health to enhancing your sensory enjoyment. The Philippines has been home to some of the world's best export quality coconuts since 1840 and has many uses as water, milk, and fruit for all sorts of delectable dishes and desserts. 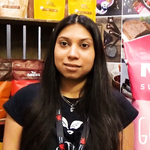 Speaking to FoodIngredientsFirst during Food Matters Live 2018 in London, Carol Bajenting explains the products the company presented and their benefits. “We also support hardworking Filipino coconut farmers to reach a more global market while sustaining their local livelihood and approach to farming,” she says.